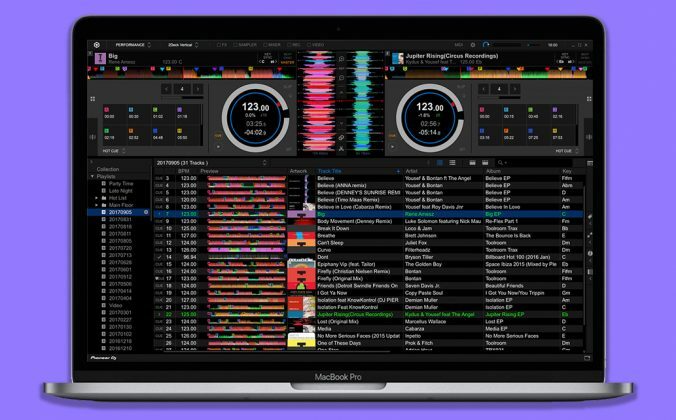 Algoriddim's previous Apple-centric software has now been made available on Windows, with many Windows 10-specific features. 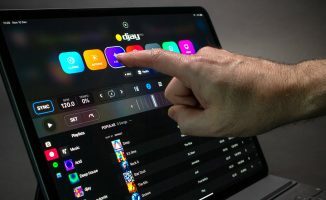 Algoriddim’s previous Apple-centric software has now been made available on Windows, with many Windows 10-specific features. 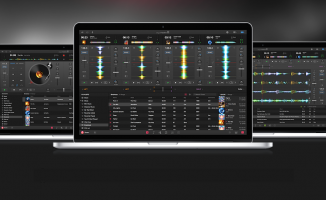 Algoriddim, makers of the Mac and OS X DJ app djay Pro, has announced a Windows 10 version of the software. 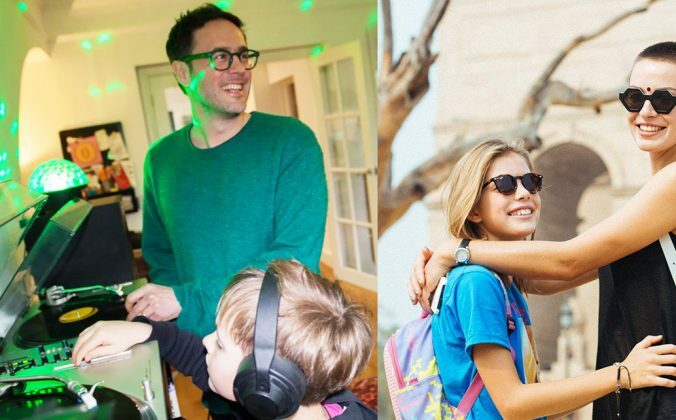 Developed alongside Microsoft, it takes advantage of Microsoft’s Windows 10-specific features, including touch support on Microsoft Surface devices. 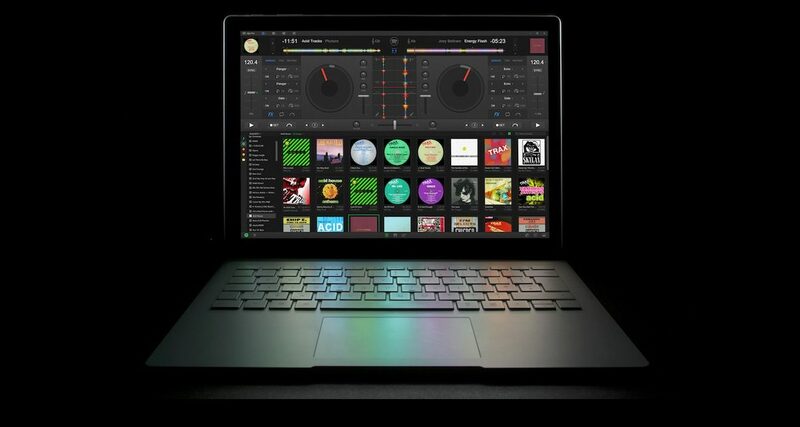 It is also the first Windows DJ software to offer Spotify integration. On placing the Surface Dial on the screen, a context-specific menu appears around it. 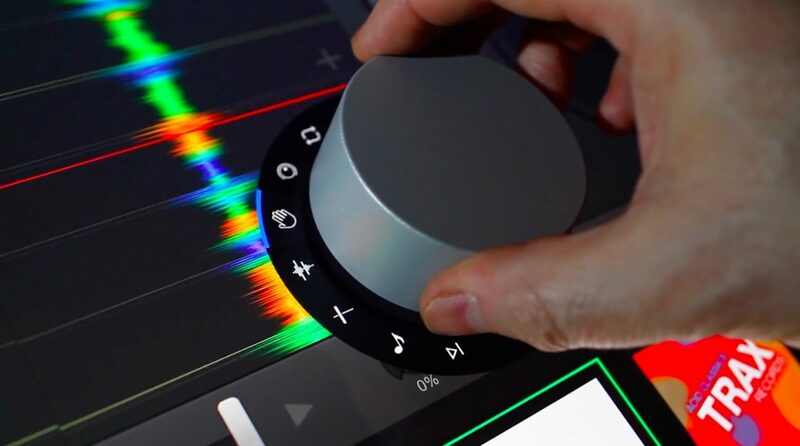 With Surface Dial (a big hardware knob that you can put onto the screen of a Microsoft Surface device), users can browse their music library, scratch, scrub, loop, and adjust knobs and filters for each deck individually. Whether or not this will turn out to be genuinely useful remains to be seen, but with the context-specific labelling that appears on-screen when you plonk the Surface Dial down, it’s certainly impressive. 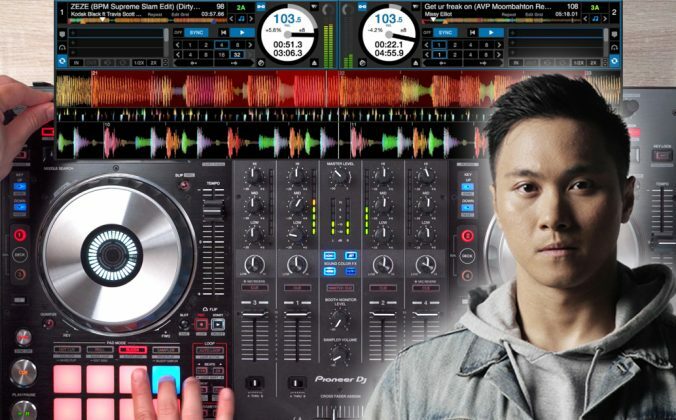 “In addition to supporting over 60 Midi controllers out of the box by manufacturers such as Pioneer DJ, Numark, Reloop, and others, djay Pro also includes an advanced Midi Learn system. 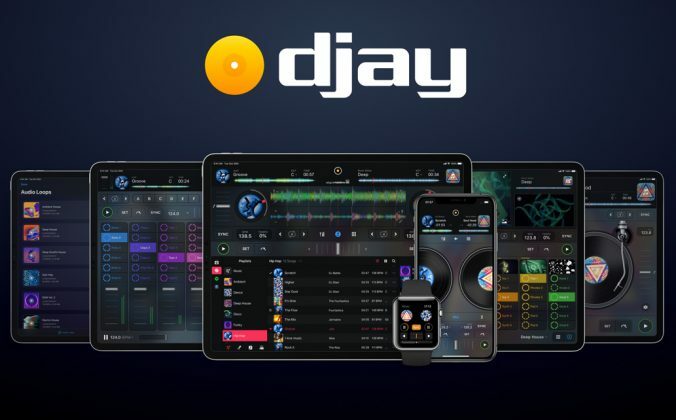 This enables users to map each hardware control on their device to individual actions in djay Pro and customise their set-up.” says the PR blurb. 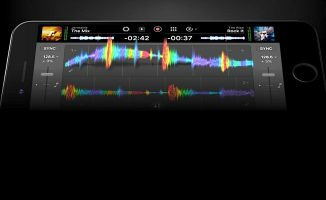 However, while djay Pro on OS X now works out-of-the-box with Pioneer Nexus pro DJ gear, that is not the case with the Windows 10 v1.0. 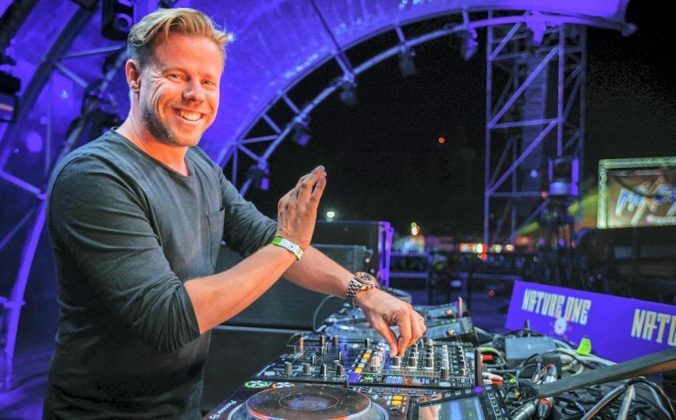 “Currently, the Pioneer CDJ line is only supported on Mac. We plan on having the versions consistent down the road.” Karim told me today. 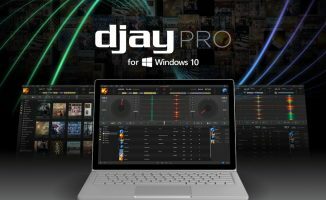 • Get a free trial of djay Pro for Windows 10, or buy for $49, from the Windows Store. 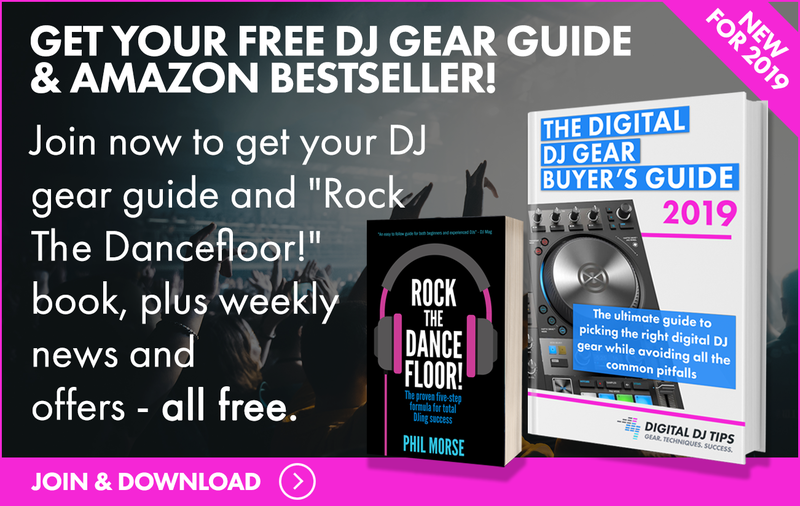 So, potentially, DJ performances might become sharply divided between those who perform by nudging and caressing their pair of jogs…. 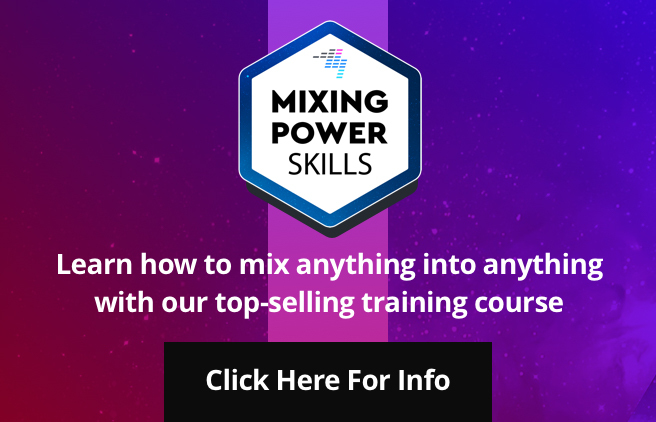 making levels adjustments left, right and centre, and those who keep their hand, or hands, busy with their, um…. Yes, to the former, and a resounding No the latter, I am afraid. This is good news and only something like 4 years overdue. I can’t believe they had Spotify all to themselves for so many years and never even developed timecode support. I actually bought a mac two years ago just to use Spotify + this program for a charts gig. It’s a good dj program but hella basic compared to VDJ. One thing djay has over VDJ is that jogwheel scratching and powering down songs sounds way better and less digital on djay. It would have made for a great dvs program but they were sleep at the wheel.